Robin has had experience working for both Cruise Lines and Resorts. She was a headliner for Renaissance Cruise Lines up until they went out of business following 9/11. She was flown to Europe and India to perform on their ships and was the main showroom singer and banjo player backed up by a 7 piece band. 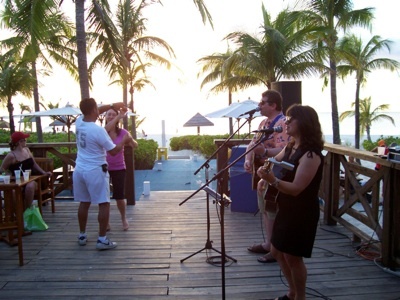 She has performed for Club Med for the past decade at 7 of their locations in North America. She worked at Holland Village outside Nagasaki, Japan for three months in 1991. 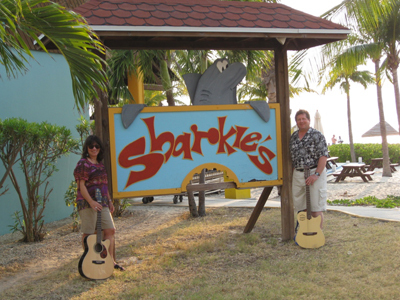 Robin can perform with charts for a ship band or play solo, duo, trio, or full band. The material covers a wide range of styles as Robin plays guitar, banjo and uke. She has a cover list of over 300 songs ranging from standards to pop, folk, rock, folk-rock, country, blues and jazz. Song list provided upon request.